Brian Roderick Millman was born in 1957 and was raised in a family with a racing background. His father Brian was a permit holder in Devon where Rod first took part in pony and show jumping events as a boy. Upon leaving school Rod began his career as a jockey as apprentice to one of the master trainers of sprinters, Reg Akehurst at Lambourn, from 1972 to 1976. Rides were not easy to come by in those days but he still had five winners. He then went to Monty Stephens (the biggest private trainer in the country at the time), but rising weight decided his next move, which was to Kingsbridge-based trainer David Barron in 1977 as his conditional jockey. From there he spent time with Michael Chapman, Ron Atkins, Dougie Marks, and Martin Pipe, where he stayed until 1981 and then went freelance, joining the flat stable of Gerald Cottrell at Kentisbeare as work rider and eventually retiring from race riding in 1989 having ridden about 60 winners. This varied career taught him a great deal about the many training techniques across the country, giving him plenty of ideas for when he set up as a trainer in his own right. Millman took his dual-purpose trainer’s license out on 1st November 1989 when he was 32 years old and did not have long to wait for his first winner. After only seven runners, which yielded three seconds, 20/1 shot Royal Dartmouth landed the Haseley Handicap at Warwick. The 5-year-old gelding was appropriately named for a Devon trainer and owned by Simon Duttfield, owner of Axminster Carpets. Royal Dartmouth would follow up this success with another win two weeks later. 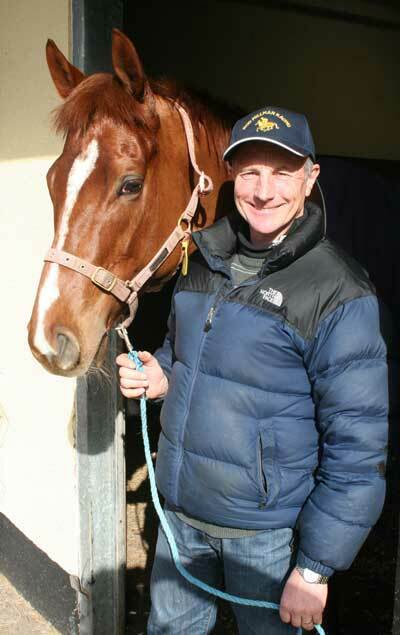 Rod married Louise in 1985 and their two sons James and Patrick have grown up with the horses, with James in particular an excellent rider and judge of the formbook. Rod’s years with Reg Akehurst, Gerald Cottrell and the sprinters left an impression and he has successfully handled a fair few himself including Lord Kintyre, Fromsong and Whitbarrow who brought him his first Pattern race success in the 2001 Molecomb Stakes at Goodwood. Rod’s skills are not limited to sprinters though. He has had stayers on the flat and over obstacles, training Kendal Cavalier, and later the two Group winning horses on the flat, Hawridge Prince and iconic stayer, Sergeant Cecil, who proved a monument to Millman’s training skills, famously winning the Northumberland Plate-Ebor-Cesarewitch hat trick. More recently, Master Carpenter, who has been purchased by Cheveley Stud for his stallion potential, won the listed Heron Stakes and the Group 3 Prix Daphnis in 2014. This highlights perfectly his versatility to get a horse ready for almost any challenge, and few yards can boast such a remarkable record across the whole spectrum of racing under all codes. Craven H’cap, Highclere Nursery, Highland Spring Hurdle, Weatherby’s Super Sprint, City & Suburban, Molecomb Group 3, Miles Gosling Chase, Northumberland Plate, Ebor, Cesarewitch, Yorkshire Cup, Lonsdale Stakes, Jockey Club Cup, Prix Du Cadran, Heron Stakes and Prix Daphnis.